Thus far, it’s been a sporadic off-season for baseball to say the least. Top free agents continued to remain on the board as each month passed. Now—Spring Training is only a couple weeks away and we finally have a big name to take off the list. 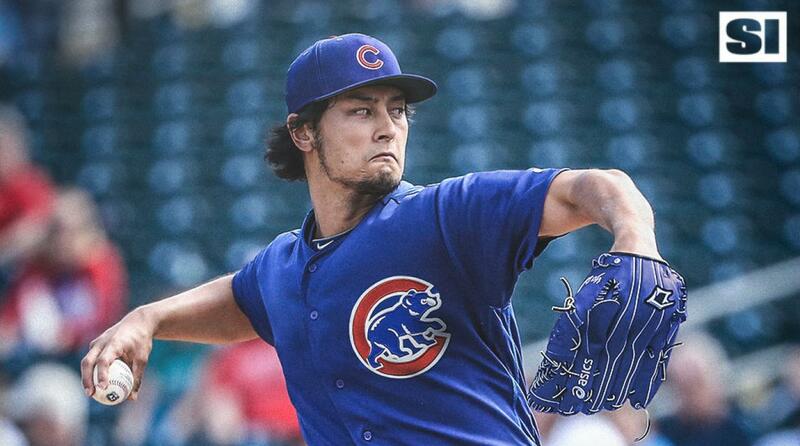 Yesterday, Yu Darvish, the #1 starting pitcher on the market, signed with the Chicago Cubs. The deal is reportedly worth $126 million over the course of 6-years; which may come as a surprise to many in the baseball world. It seems to be a trend this year for organizations to not give out long-term deals to players in their 30’s. However, that didn’t stop Theo Epstein and the Cubs from making a move on Darvish though, and how can you blame them? The $21 million per year they will be paying him ranks only 13th most among starting pitchers in baseball. This deal with Darvish and the Cubs is one of many acquisitions made this off-season involving teams in the National League Central. There has been an even mix between free agent signings and trades that have moved key players. The most notable players coming over include: Marcell Ozuna and Dominic Leone to the Cardinals, Lorenzo Cain and Christian Yelich to the Brewers, and Brenden Morrow and Tyler Chatwood to the Cubs. And now—Yu Darvish can be inked in to the Cubs’ rotation. Needless to say, the NL Central just got a whole lot more interesting after the Darvish deal. However, what exactly are the Cubs adding to their rotation? It’s worth noting that his struggles in the postseason continued in 2017 with the Dodgers. Overall, the 31-year-old righty has a career postseason ERA of 5.81, while giving up 2.73 HR per 9 innings pitched and 9.23 H per 9 innings pitched. After the Astros won the World Series, some players spoke publicly and mentioned Darvish tipping pitches. Some believe this may have played a vital role in the later signing and why he isn’t getting top dollar for his services. Personally, I wouldn’t have said anything about the tipping pitches; keep those upperhand tid-bits within the organization. Nonetheless, he has been as solid as they come in 5 of his 6 seasons since coming over from Japan in 2012. Darvish’s career numbers include a 3.42 ERA over 131 starts and striking-out 11.04 batters per 9 innings pitched. For the Cardinals, Ozuna has been the only one to face Darvish. Although it’s only a small sample size of 6 at-bats, he has found success; posting a .500 average with a single, double, triple, and driving in 3 runs. All-in-all, Darvish will either be the Cubs’ #1 or #2 pitcher in the rotation and should win around 15 games. Now that the rotation is set, here are who the Cardinals get to look forward to: Yu Darvish, Jon Lester, Kyle Hendricks, Jose Quintana, and Tyler Chatwood. It doesn’t bode well for the Cards, but hopefully by adding a threat in the lineup (Ozuna),the team can find success against the stout rotation.